Our websites are a perfect synergy of your unique ideas and goals, and our expertise. E-Commerce Solution for Rocelco Inc.
Rocelco is a Canadian-owned and operated importer and manufacturer of Consumer Electronics accessory products serving North American retailers for more than fifty years. They take pride in being of service to the North American Audio Video Industry for half a century. Up to this date, their tradition still continues along with a new role as a supplier of Ergonomic Office Products to the North American Office Products Industry. Known for their quality brand of ergonomic office products, Rocelco works closely with China factories to create adjustable desk risers and sit-stand workstations. These products are for those who spend hours working while sitting on their desk in front of the computer. Their products help reduce the risk of obesity, cardiovascular disease, and diabetes, and extend our lifespans. Moreover, the brand promotes a sit-stand solution and making it accessible to millions of people. Ultimately, Rocelco aims to bring both the dealer and manufacturer, the benefit of experience that money can’t buy. They are very proud to have contributed to the success of their dealers and suppliers, and of the lifetime of loyal relationships that have resulted from the audio-video business. For this project, Rocelco wanted our team to create a responsive website to be able to present their products, services and what their brand is all about in a digital platform. 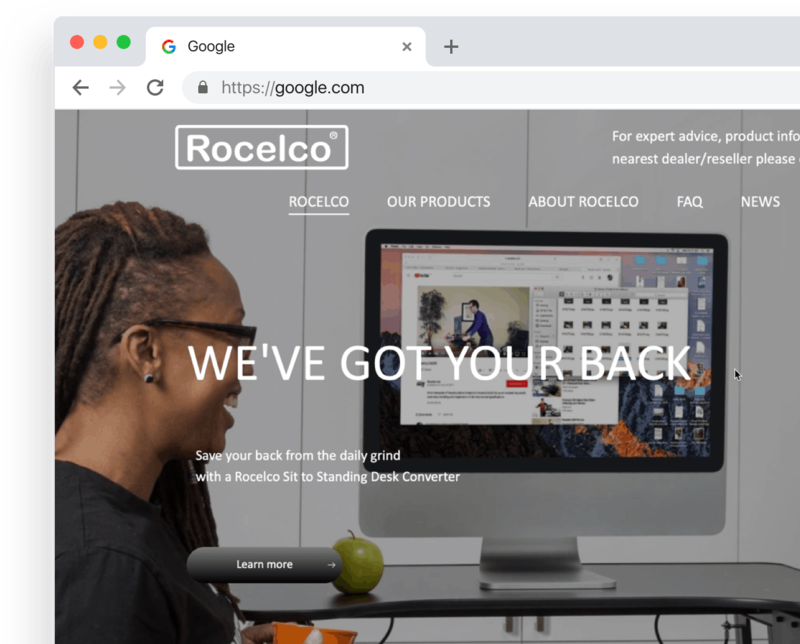 Our goal is to incorporate specific features in the Rocelco website to make it stand out and easily accessible to customers all at the same time. Mister Hint is the ultimate guide to an easy and cost-effective travelling. They are the go-to place for travel tips, hints and ideas. Travelling overseas can be a challenge but it is definitely not impossible. 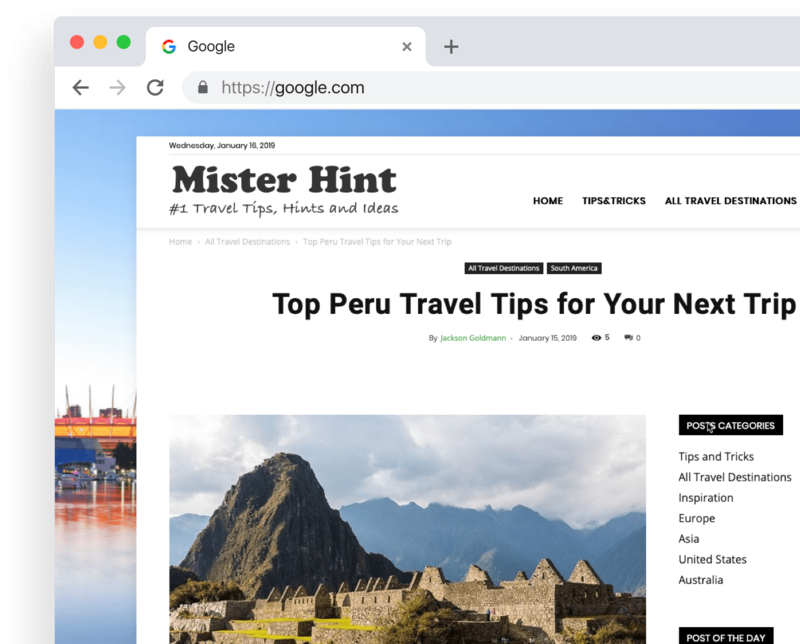 Mister Hint aims to introduce the fact that there are certain tips and tricks in order to properly travel through a country without breaking the bank. These tips and tricks include getting the best experience and deals out of your money, such as being able to stay within a budget, to seeing the secret hotspots and really connecting with the locals of whatever country you are visiting. With that being said, we created a custom travel blog for Mister Hint to show their audience exactly what they stand for. We were able to come up with a beautiful responsive website that that is very easy to navigate and inviting. We, along with Mister Hint, hope the website can motivate and inspire you to shut up and go travel the world without hesitations.